1. To blanch almonds, place them in boiling water for about 1 min. Drain & immediately place them in ice-cold water to stop further cooking. Peel the almonds. 2. Pre-heat the oven to 180 C. Toast almonds for 8-10 mins or until golden brown & fragrant. Allow them to cool. Grind into coarse powder. 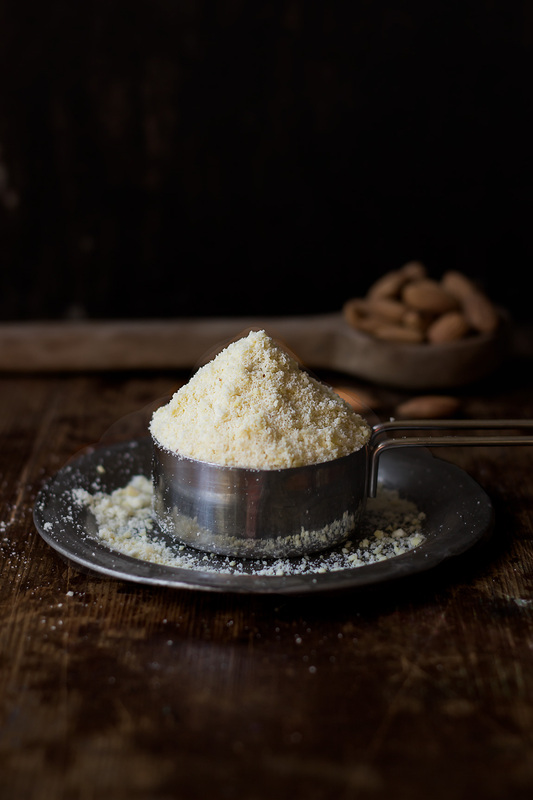 Be careful while grinding the almonds, just coarsely ground is also good. If you ground too much, then almonds will release natural oil giving you almond butter.